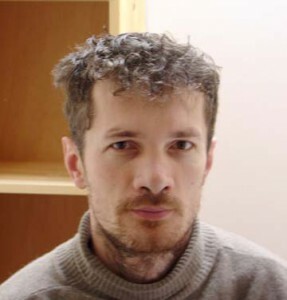 Prof. Tibor Beke of the Department of Mathematical Sciences has been awarded a Fulbright Fellowship for teaching and research at Masaryk University, Brno, in the Czech Republic. During his stay in Brno, Prof. Beke will teach an advanced course on model-theoretic geometry. Model-theoretic geometry is concerned with the geometry of objects defined by equations and inequalities over algebraically closed, real closed and p-adic fields. This subject lies at the intersection of mathematical logic, algebra and geometry. It can be thought of as a high-powered version of “coordinate geometry”, which describes Euclidean geometry in the algebraic language of linear and quadratic polynomials, and trigonometric functions. Model-theoretic geometry extends this algebraic language to higher dimensions, non-Euclidean geometries, and works over structures that “look” very different from the real numbers. In the last decade, the subject acquired algorithmic and computational components too. The goal is, ultimately, to have computers analyze shapes and prove theorems about them. This is an opportunity for Prof. Beke to continue joint research with Prof. Jiri Rosicky, chair of the Mathematics Department at Brno. Tibor will return to Lowell l in the Fall of 2017. The Fulbright Scholar Program is administered by the United States Department of State Bureau of Educational and Cultural Affairs. It has been running continuously since 1948, and offers opportunities for US educators and other professionals in more than a hundred countries around the world. This entry was posted in Uncategorized by Kenneth Levasseur. Bookmark the permalink.